My First At-Home Microdermabrasion Experience with Trophy Skin! People have been raving about microdermabrasion facials for the longest time, but I haven’t actually gotten one done in my life! Honestly, facials can get pricey after a while especially if you get them done regularly. Now that I’m in my mid-20’s, I want to do everything I can to keep my skin tight and healthy, without making my wallet cry if possible. With that said, I was ecstatic when I got the opportunity to try Trophy Skin’s at-home microdermabrasion system, the MicrodermMD! Overall, I have been blessed with good skin (or so my boyfriend says). I am pretty hard on myself so even a small pimple will drive me nuts! After moving to Palm Springs, I’ve definitely been under the sun a lot more frequently. I try not to tan my face too much though because I’m afraid of sun spots… but my body has gotten WAY darker than my face so I can’t shield my face from the sun entirely every time I’m out. I definitely pile on the sunscreen but you know… I just can’t help but feel paranoid when it comes to the face. Before using Trophy Skin, acne scars from my high school days could still be visible if you looked closely. Simply put, microdermabrasion is a non-invasive, non-chemical procedure that incorporates a diamond tip to slough off the outermost layer of the skin. This is dry, dead skin cells that should be removed regularly to reveal younger and healthier skin. The diamond tip typically will last anywhere from 3-6 months, and sometimes up to a year! Microdermabrasion is used to treat deep facial lines, scars, and sun damage. Trophy Skin’s at-home microdermabrasion system is extremely easy to use. The professional technology improves various skin problems like acne, acne scars, age spots, sun damage, large pores, dull skin, dry skin, milia, fine lines, wrinkles, discoloration, hyper pigmentation, minor scars, and the overall health of your skin. As a result, you wouldn’t have to wear as much make-up, and when you do, the make-up applies and stays on a lot better! If you’re like me and live off of instant gratification, you’ll enjoy this system. With Trophy Skin’s microdermabrasion tools, you will feel the difference after even one treatment. More importantly, you will also see a significant difference after repeated use. I’ve tried the system not only on myself but also on my boyfriend. He is older than me and definitely has more “age” to him, so Trophy Skin has come in quite handy for him. He also loves the sensation as it feels like he’s getting a professional facial! Trophy Skin offers free shipping in the U.S. and payment plans are available for those who don’t wish to pay the full price for the system. The system goes for $299 on their website. To me, this is actually a small one-time price to pay when you’re comparing it to costs that pile up over time if you were to get facials done regularly in office. To put things into perspective, a professional microdermabrasion treatment costs on average, $150 per session! You would have paid for Trophy Skin’s system (which has a 3 year warranty) in the cost of just 2 facials. Since I’ve never done any form of microdermabrasion, my skin was extra sensitive the first time I tried this. In fact, it was to the point where I left red marks on my face similar to what a hickey would look like. Not exactly the prettiest results, but I’ll say that I felt that my skin was tighter and cleaner after use. I then learned that I applied too much pressure in one given spot, which causes these red marks. Luckily, these red marks fade pretty quickly and it’s nothing that a bit of make-up won’t cover up if you need to head out the next day. After the first time, my microdermabrasion sessions with Trophy Skin went a lot more smoothly. I got the hang of it and was able to glide the diamond tip more smoothly and distribute the pressure throughout my face. Generally, I stick with the “auto” mode which goes for 5 minutes. I trust the machine — it adjusts the pressure point depending on where you’re gliding the diamond tip on your face. It also has recommended times set for each section of the face. This is helpful if you have zero experience with microdermabrasion and want something simple to essentially “follow.” As you get the hang of it, you can customize the amount of time and pressure you apply for each part of the face. I have been consistently using this 3 times a week, and this routine has been working out quite nicely for my skin! Recently, I’ve noticed some fine lines forming on my neck. Prior to using Trophy Skin, I was one of those gals who unfortunately neglected the neck when it came to skin care. Luckily, it hadn’t reached the point where the damage couldn’t be reversed. Performing microdermabrasion with this system on my neck and décolletage has helped to minimize these fine lines and promote healthy skin in these areas. After the microdermabrasion is complete, I apply a generous amount of Trophy Skin’s Argan stem cell serum. This is the best time to apply a quality moisturizer or facial treatment as the skin will absorb it best after the procedure. As mentioned above, the kit comes with two other heads — one for pore extraction and one for infusion. When my boyfriend says I have good skin, it’s because I don’t really have large pores. With that said, I haven’t had to use the pore extraction tip just yet, but I imagine it would be just as useful as the diamond tip for that particular use. The infusion tip is used to help get your moisturizer or in my case, the Argan stem cell serum deep into the skin for maximum benefit. Depending on what you are looking to achieve, Trophy Skin provides a handy user manual explaining how to use each thing. Cleaning the device is hassle-free. Simply remove the diamond tip (or whichever tip you were using) and use the tip cleaner to remove any loose dirt. Then, remove the black filter and see how many dry & dead skin cell particles you’ve just collected! It’s quite amazing because you would never see this with the naked eye without using the system. A regular face wash just won’t do it! To prep the machine for your next use, just remember to place a new filter into the slot so that you’re good to go! Long story short, my skin condition has improved tremendously after using this for a month. My stubborn acne scars are pretty much invisible now and my skin overall is very smooth with reduced discoloration. I’m really happy about this because I no longer have to wear as much make-up, if at all! Since I live in the desert where I’ll literally drip in sweat the moment I walk out the door, I’ve been loving the fact that I can go out with no make-up and not feel bad about my skin. On days I want to feel a bit more done up, I’ll fill in my brows and put on some mascara. Never in my life have I been so confident in my own skin! I definitely look forward to using this system consistently and seeing improved results with time. 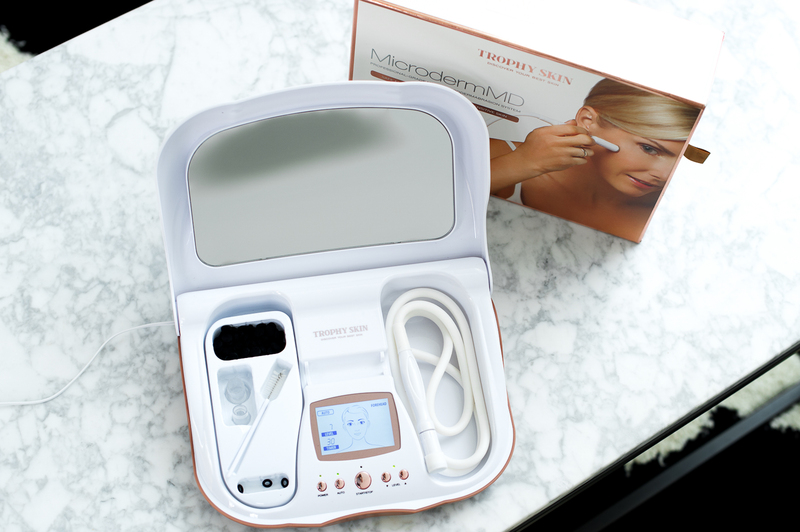 For those of you who haven’t tried at-home microdermabrasion and are thinking about giving it a go, I highly recommend doing so with Trophy Skin’s MicrodermMD! You can use my promo code STYLE10 for 10% off on their website. I absolutely love the fresh tingly sensation after the treatment and the long-lasting health benefits it has provided my skin so far. If you have any questions about my experience that I haven’t covered in this review I’d love to answer them. Just let me know in a comment below! 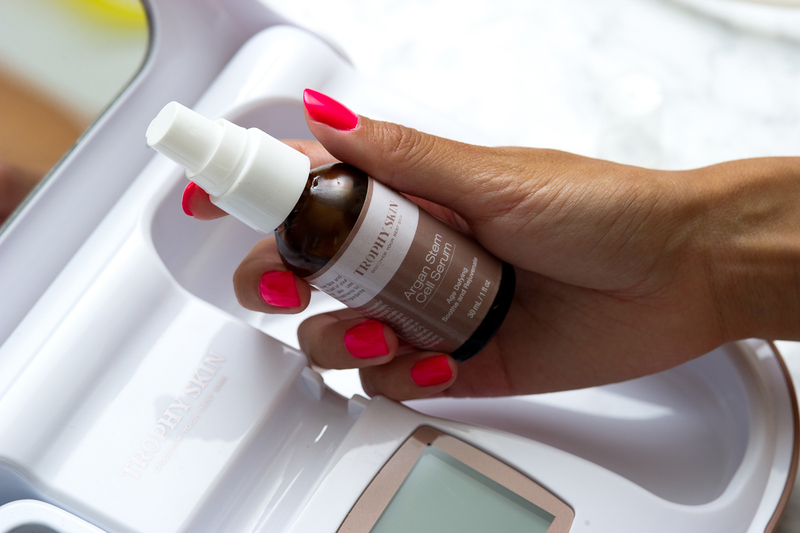 Have you tried an at-home microdermabrasion system before? What were your results like? Previous NEW HAIR: I Became a (Purple) Unicorn! I SO want to try this! I love that you can do it all in the privacy of your own home. I JUST did a DIY Spa Night at home post, but I need to crank it up a notch and do a microdermabrasion for the next one! I’ve heard about microdermabrasion, but never before gave it much thought. I love the idea of a facial in your home whenever you like. Trophy Skin looks like a great company with a lot of expereince in skin care needs. Your skin looks flawless!! Not like you need microdermabrasion but prevention is key to fight aging. This trophy skin device sounds like the perfect tool to do so! Will definitely check it out. Thanks for sharing! I always wanted to try but was afraid of the breakouts. However, it looks like I should not be concerned. Thanks for the sharing this information. Love this review, I had no idea about this product, so thanks for putting it on our radar. And your skin does look unbelievably amazing, great stuff! I read this word for word as I’ve tried basically everything out there. First I’ve got to give you a bashing on behalf both me and David as 1. You do have perfect skin. 2. We’re not THAT much older and thus our skin is not THAT old, hahaha. Ok, fun facts aside as that was said in the most loving way. I do have large pores and have found microneedling to be very helpful, however I haven’t tried microdermabrasion which I believe is somewhat similar after having read this review about Trophy Skin’s at-home-product. It does seem to work wonders, but with microneedling I know I had to avoid the sun 2 weeks after the treatment. How’s the microdermabrasion regarding that? Can you step right out of your front door (after the obvious redness has settled obviously) or is your skin sensitive to the sun? How cool. I’d give this a try. My skin could always use the help. You have amazing looking skin. I have been looking for something like this. I would love to be able to do it at home. I will have to add it to my Birthday wish list. You are gorgeous and have beautiful skin. I have been thinking about trying this. Maybe I will give it a try. It looks like a great product. I love this post because its so important to take care of your skin! Have a great week hun! Bye, bye day-spa! I never was fond of spending my time in spas to take care of my skin, I prefer being home and taking care of my skin with a good product that shows results, and this product seems to be the answer, it will save money and time. I personally have never considered a microdermabrasion treatment. I do like that the procedure is non-invasive. If I could get skin as beautiful,as yours I would try in a minute. I am still facing breakouts and have tried many systems to keep my skin clear. Maybe this would work for me, thanks for sharing. Your skin is so beautiful!! I love the idea of doing this at home, I will def have to look into this product and only hope i can get my skin close to yours! You have such amazing glowing skin! My skin could really use a pick-me-up during this hot summer season. Thank you for introducing me to the microdermabrasion process with Trophy Skin. I love that there’s now an in-home system. I absolutely LOVE microdermabrasion treatments, and this is super convenient! I was always scared of home versions of this. I had 7 microdermabrasion treatments done 4 years ago and got rid of my own little acne scars. Would love to get more treatments done now but they are so costly. Thanks for the great review. I am actually considering getting this one now. This could a a perfect gift to my girlfriend and some of her friends. Thanks! Good thing to bump into this article. I haven’t tried this yet, i need to consult my dermatologist before trying this gadget. But it looks cool though. This product sounds amazing Sharon!!! I have seen lots of facial beauty products that incorporate diamonds and the results have been amazing. So I have no doubt this will work too!! Really want to give a try. I have heard a ton about these products, but never purchased one yet. I would love to do my own home treatments, so this would be perfect for me to try! I love your site! Also my job works in research for micro derm so I love when I see bloggers cover it. I’ve heard of microdermabrasion before but I was always skeptical and didn’t look that much into it, so I’m so glad you shared your own experience! It sounds so simple and definitely convenient to do it yourself at home. I have relatively good skin but there’s always a few things I’d like to improve on, and prevent 😉 will definitely check out Trophy Skin’s kit! Your blog is just AMAZING! So inspirational! Love the photos! This sounds amazing since there are no good microdermabrasion places near me. Okay, you just scared me a little with this post because you reminded me that I need to start paying attention to my neck with my skincare! I haven’t used a microdermabrasion system in a long time, but I am curious to see how Trophy Skin would work for my dry skin. Your skin looks flawless! COOL! I never have tried an at home microdermabrasion but i always look it up because I want to try it! But then I don’t want to spend like, $400 for a treatment… this is a much better option! I would LOVE to try an at home microdermabrasion!!! Wow your skin looks so good it’s hard to believe you haven’t air brushed it. I would love to see before and after photos and see the results of this amazing device. Cool! I really want to try it! Looks like a great product! And easy to use at home! Your skin looks amazing! I love how glowy it looks. I am a huge fan of at home micros for sure. microdermabrasion!! Gosh I had no idea what is it, I had to google it to read more about it before I can actually continue on with your post!! It seems like such a cool and advanced technology and it is on the next level of coolness that you can actually do it home now instead of going to the skin salons. Thanks for sharing Sharon. Can’t wait to have one of my own. I’ve never tried this kind of facial but you’re made me curious! Might just be worth the splurge! Oh I never tried this one yet. I need to know first and consult my doctor if this is okay for me to use. Looking at you, it seems that it pretty works well. What a cool product! It looks like it works really well. Thanks for sharing! So glad I stopped by, because this was such a helpful post! I’m turning 30 soon and can use any help with my skin that I can get! This product is so interesting and sounds convenient. I hope it works with my skin. Thanks for sharing. OMG your skin looks amazing. I have been wanting a microdermabrasion kit for myself but honestly hadn’t done much research. This looks so good and sounds great. Thanks for sharing! I’ll have to look into this! This looks like such a cool device to use at home! I still have a lot of acne scars from when my skin suffered right after moving to Japan, and although I only get the occasional pimple here and there, I’m always looking for ways to make my skin as flawless as possible. I’d love to try this, no wonder your skin is so beautiful! Similarly to you, my pores aren’t huge! With the help of a face mask, I’m typically alright without microdermabrasion, but this is a great idea for working on my skin at home! I’ve got some bad scars from sports when I was younger (I was a rough kid! ), so I may have to look into this on improving them! I’m so glad you found something that really works for your skin. It’s hard to fine that and your skin looks amazing. Thanks for sharing. What a cool product to have! 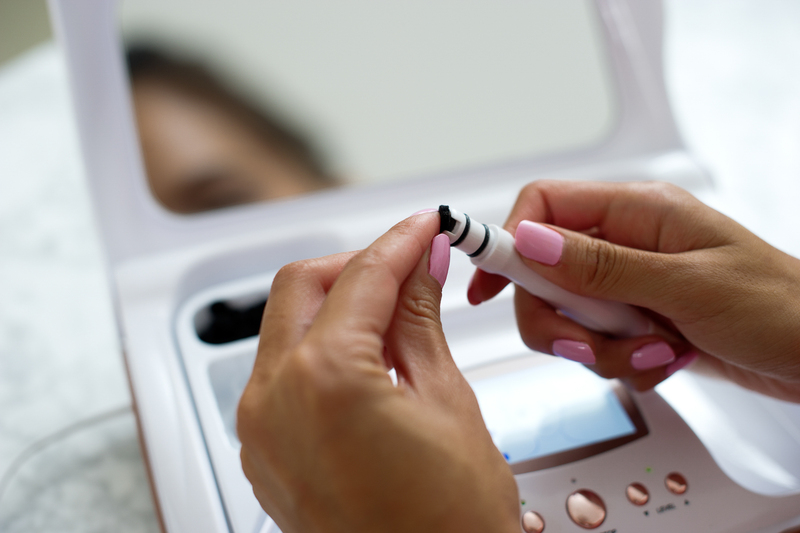 I love this because visiting a dermatologist very often can be too pricey for the budget! You’re still beautiful with or without wearing makeup. Just remember simplicity is the ultimate sophistication. 🙂 Anyway, I love the idea doing it at home. I truly want to try this as I have lots of blackheads, hehe I think it will help me a lot. Thanks for sharing babe. Your skin looks absolutely flawless, babe! I’ve never tried microdermabrasion before. 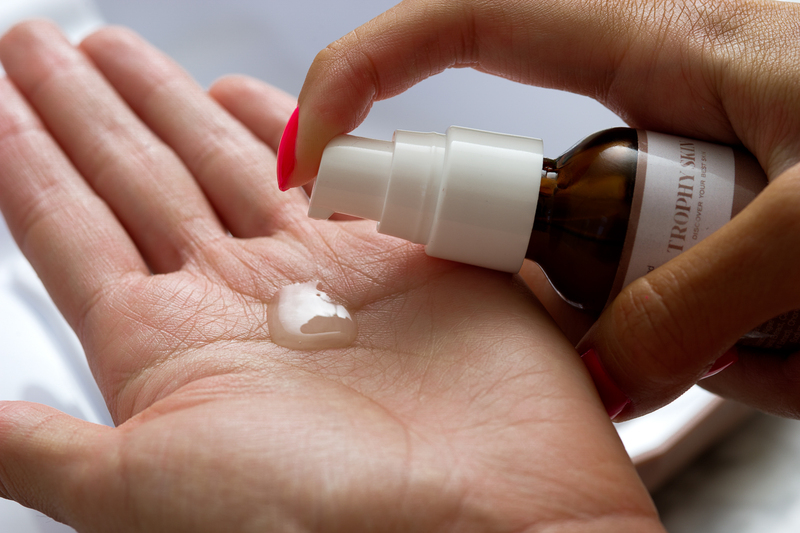 It always sounded a little scary to me because it seemed too invasive for my sensitive skin. After reading your review though, I really want to give this a try. I have few acne scars I really want to get rid of.